Wranglers are the Best !! 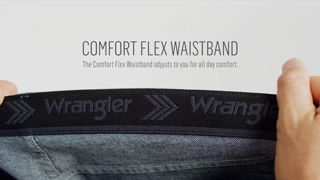 Wrangler jeans have a long established brand name and a reputation for quality and durability. 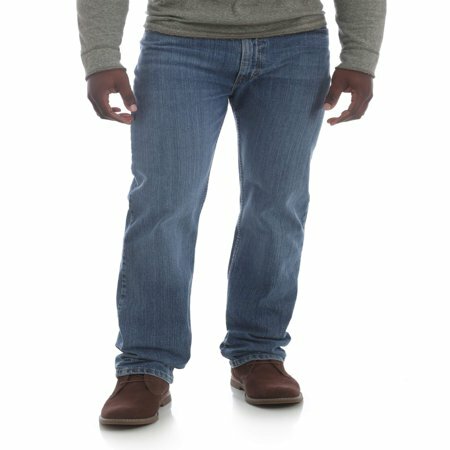 I have never owned a pair of “flex” jeans and I was interested to see how these 5 Star Regulat Fit with Flex compare to regular fabric jeans. Everyone's body has slightly different characteristics and shape but these jeans fit me perfectly. When bending, stretching or even sitting in a chair, the crotch in some jeans can get uncomfortably tight because there is very little “give” in the fabric. These Wranglers are the most comfortable jeans I have ever worn. I like the idea of the elastic waist because I often don't care to wear a belt. After washing and drying most jeans are a little tight and then stretch and and I have a few pairs that require a belt after I've worn them for a while. These jeans have remained snug even after wearing them for several hours. Considering how they fit me and the increased comfort from the elastic fabric, I'll probably be picking up a couple extra pairs in the very near future. The are the best fitting pants I've had in years. These jeans are a perfect fit! I miss the comfort that I had with a different shape in my youth. I don't want to take them off, just like my favorite jeans in the days of my youth. 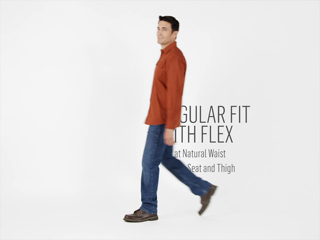 When I ordered these FLEX jeans from Wrangler, was the first time my husband ever experienced wearing FLEX jeans. He loves 'em! These jeans look great on my husband. They fit really well. They wash well and keep their color. Good product for the price. I tried to find these jeans in the store but they no longer carried this particular kind. 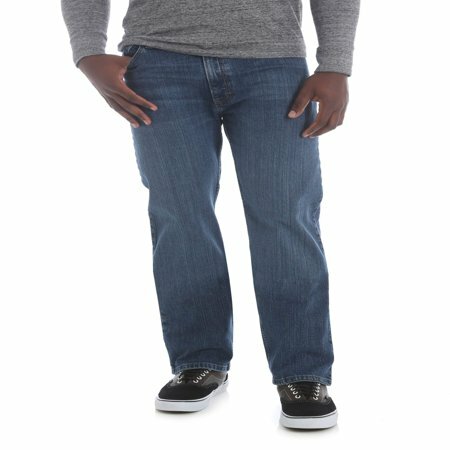 Outstanding jeans, the fit is great, the stretch is perfect. I will definitely be buying more! These are my everyday jeans I like them very much I wish they made them in shorter length.